At A Sharper Palate, we have experience working at a montage of Richmond's venues, each unique. From wedding receptions held in restored barns to elegant dinner parties at historic museums, we are committed to creating an unforgettable event that will leave a lasting impression on your guests. With our portable cooking equipment and over 20 years of expertise in off-premises catering, A Sharper Palate can bring the party to you, wherever you may be. Located in Goochland County on the property of Adams International School. All proceeds for the events in our rustic red barn go back into the school. 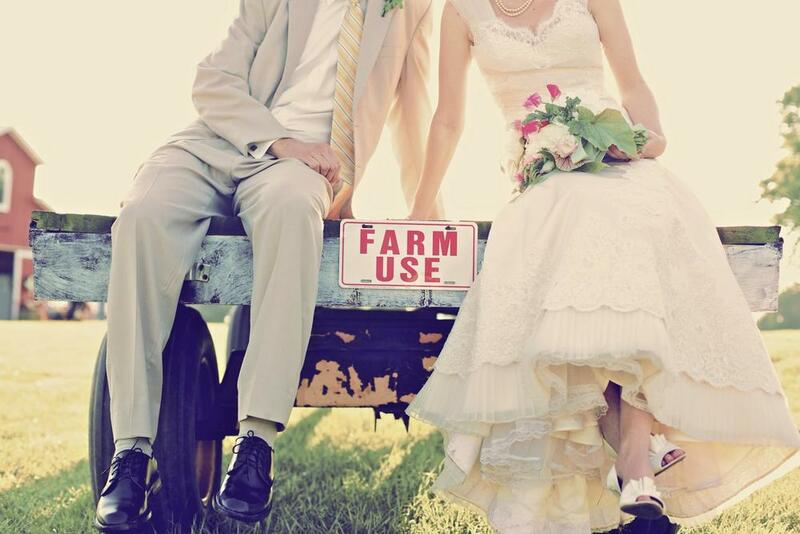 Each couple who gets married here "gifts" the barn something. Gifts range from things like mason jars, burlap runners, benches, and even a wooden bar was made and gifted to the school for future couples to use. Art Works provides an elegant and unique art gallery venue for weddings, receptions, and parties. They have three all-inclusive packages to fit parties of 10 - 300 guests. The space comes pre-decorated with beautiful artwork, lots of options for lighting, and more! Guests are welcome to stroll through the artist studios during the cocktail hour or reception to experience some of the local artwork and have fun! Ashton Creek Vineyard is a small farm winery located in the heart of central Virginia, just minutes from interstate 95. They welcome parties large and small and can accommodate guest lists of up to 300. The facility's ambiance is full of rustic- elegant charm making it a relaxing and memorable place to celebrate! From an intimate proposal to a gorgeous garden ceremony and every special moment in between, Maymont is a perfect backdrop for memories that will last a lifetime. Choose from the flower-filled Italian Garden or serene Japanese Garden for your ceremony, and celebrate your reception in the Garden Hall or Robins Nature Center. A horse-drawn carriage ride adds a unique touch. Rehearsal dinner locations and engagement packages are also available. New Kent Winery is an ideal location to host the wedding of your dreams. They offer a picturesque setting amid the beautifully manicured vineyards and unspoiled landscape of New Kent County, Virginia. With stunning event spaces, they can accommodate many different types of events and will work with you to bring your vision to life. Stunning indoor and outdoor venue spaces make New Kent Winery the perfect spot to host your wedding, bridal shower, rehearsal dinner or celebration. Surrounded by over 20 acres of vines, your guests will be delighted to enjoy time away from everyday life and celebrate your special occasion. At the Science Museum of Virginia, you can enjoy an elegant indoor reception in our newly renovated Rotunda with a lighting system that ranges from soft candlelight to theme colors that match every shade of décor. The history and character of our marble pillars and glorious domed building paired with a professional, courteous and meticulous staff make for memorable events. Rooms range from intimate gathering spaces for meetings to grand-scale pavilions and tents for lavish, personal affairs. Unforgettable events happen in the historic Broad Street Station! At the Manor House at Kings Charter you can enjoy an outdoor ceremony with an indoor option. How about a classically decorated ballroom with tables and chairs for up to 150 guests? Up to 200 guests can mingle on the grounds with many choices for layout and seating of guests. They also have separate lovely locations for the bride and groom to get ready. Come and enjoy one event a day so that day is truly yours! Tuckahoe Plantation, c. 1733, is a spectacular outdoor venue for a wedding. Their typical event season runs April-October; however, are accommodative to events outside that timeline. As a private estate, Tuckahoe offers a designated ceremony site, 3 reception sites, mature gardens, a view of the James River, a stately Main House and an Old Stable as a backdrop to any event. 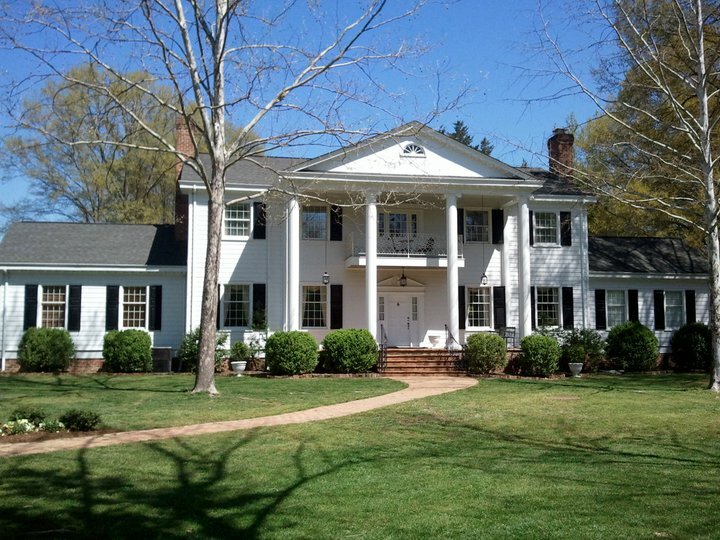 From a backyard BBQ to a black tie affair, Tuckahoe Plantation is an idyllic venue only 10 minutes to Short Pump and 30 minutes to Downtown Richmond! The Virginia Cliffe Inn is a Bed & Breakfast and event venue located approximately 15 minutes north of the City of Richmond, in the heart of historic Glen Allen, Virginia. The Inn sits on six private wooded acres which include beautiful gardens, manicured lawns and a swan pond. Imagine yourself on the most important day of your life, surrounded by family and friends standing on the porch of this stately country home with its manicured lawns and beautiful gardens. The Virginia Cliffe Inn offers an enchanting setting for your wedding, special events and celebrations. Outdoor events take place amid our enchanting gardens, 40’x50′ pavilion, 40’x40′ permanent tent, swan pond, and Clifton Cottage. The Virginia Cliffe Inn can host outdoor events from 50-225 guests. You will fall in love with this beautiful location. Indoor events can accommodate 20-125 guests. Guest will have access to the first floor of the Inn and enjoy our charming rooms with beautiful antique furnishings. The Virginia Cliffe Inn has five beautifully appointed rooms and can lodge up to 12 guests overnight. 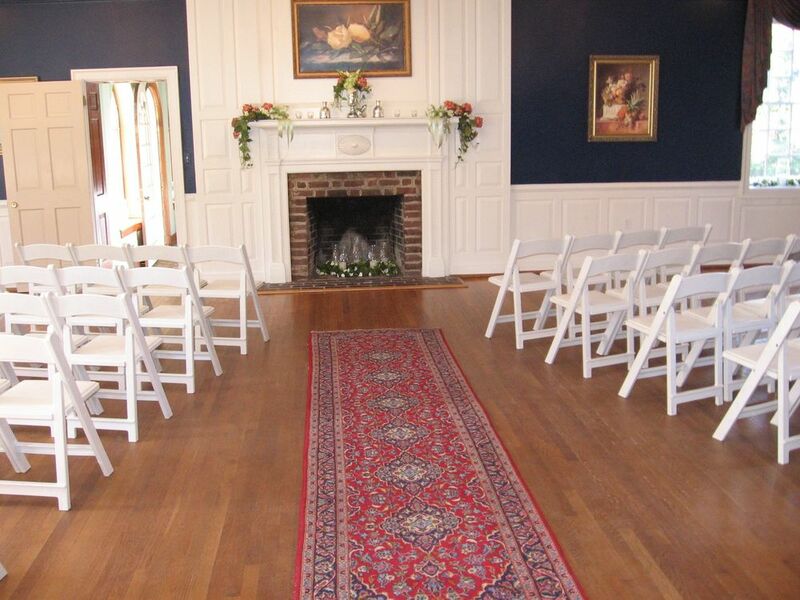 The historic 1812 Wickham House provides a photogenic backdrop for your special day. The Valentine's Wedding Coordinator serves as the principal point of contact with you and the vendors. The museum provides tables and chairs in all event spaces. Gray Family Terrace - An elegant, brick and blue stone outdoor space located on the south side of the museum building. The terrace can be tented and features vintage neon signs from Richmond businesses. Host your next special event, meeting, retreat, or party at the Branch Museum of Architecture and Design. This exclusive venue, offering a limited number of evening events, is located on Richmond’s historic Monument Avenue. Our refined interior spaces and elegant garden can be arranged to accommodate a variety of events from sophisticated cocktail parties, to intimate bridal luncheons, to day-long corporate retreats. Our rental program helps to support our operations and educational programming while increasing awareness of our mission in the community. For more information, contact Kathleen Bagenstose at (804) 237-1764.